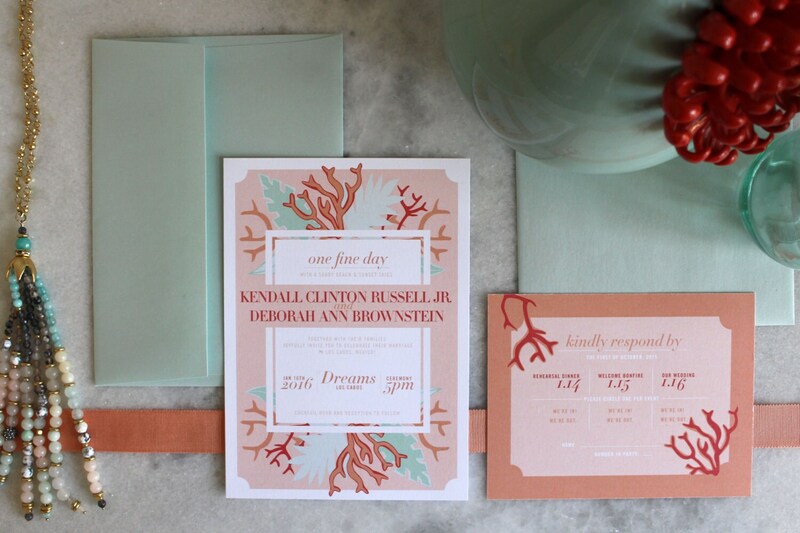 For bride’s getting married on sandy shores, this destination wedding suite exudes paradise. 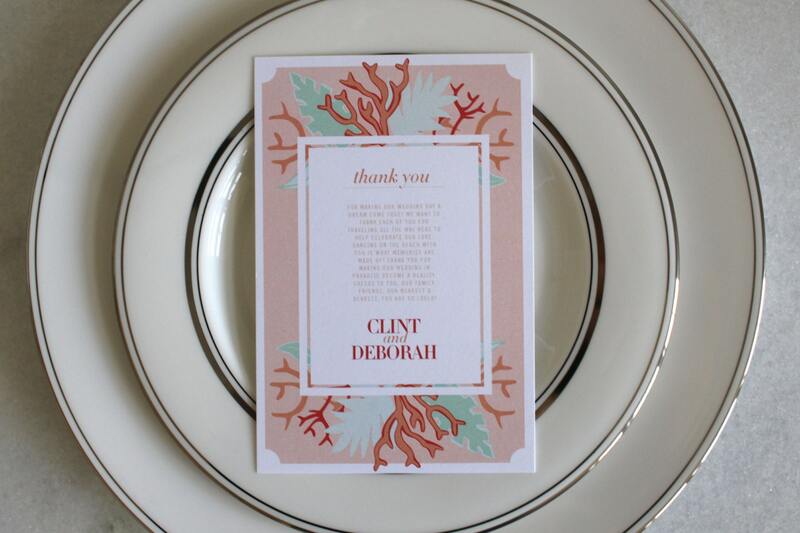 A luxe combination of seaside corals and foliage, these charming pieces will leave you and your guests in a coastal daze. - Your full names, as you’d like to see them represented on an invitation. 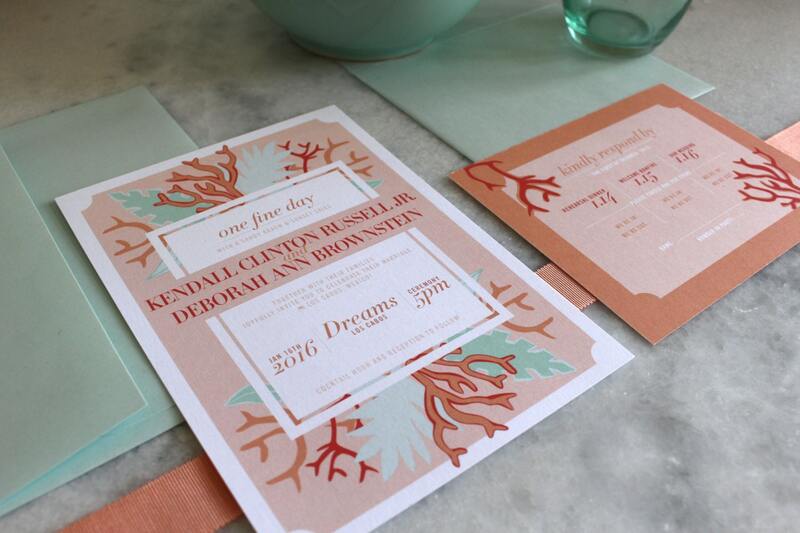 - Your Parents names, or anyone else you’d like to see represented on an invitation. - Your wedding date, time, venue of ceremony and/or reception. - Your date when you’d like to receive RSVP’s by. - Your registry information (optional). 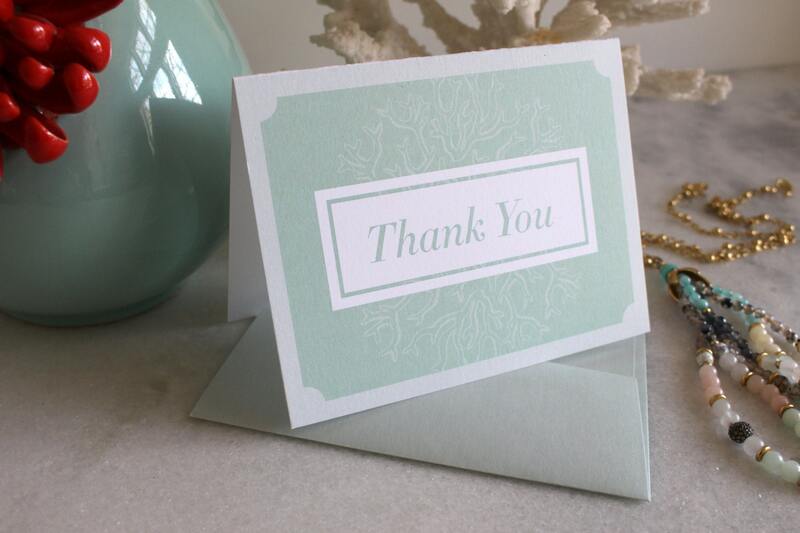 - Your message for your Thank You Place Card (optional). 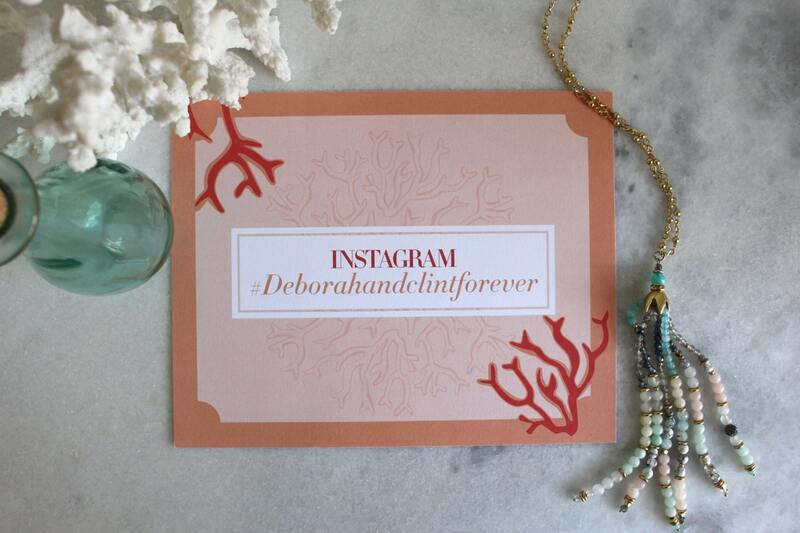 - Your wedding day hashtag (optional).